KinoVino is offering event management and catering services to create bespoke experiences for private events. If you are planning a birthday, a book launch, a wedding, an exhibition opening or any other wonderful occasion that deserves to be celebrated in an unforgettable way, KinoVino team is here to help. 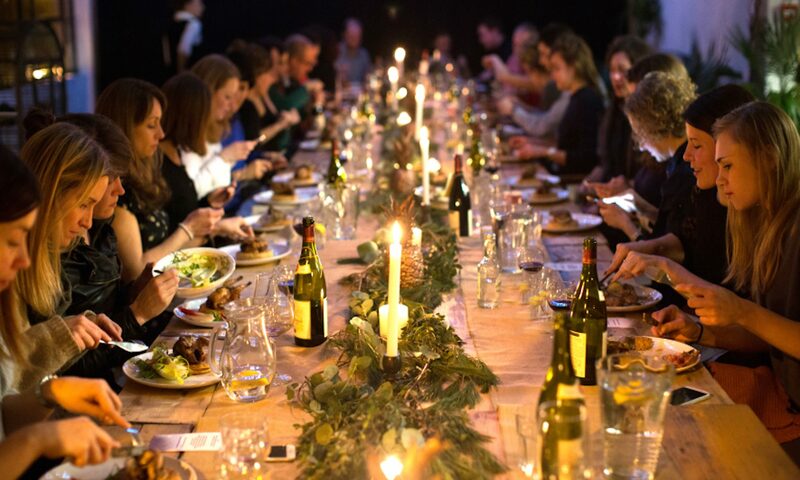 Whether you are after a delicious dinner with a uniquely designed tablescape and setting, or would also like to add a film screening, a wine tasting, a live music performance or a cocktail-making masterclass (the list of possibilities is endless), get in touch with Alissa to discuss your plans and ideas. KinoVino works with excellent chefs and unique venues across London to produce original events with a character, tailored to reflect your identity. We can also bring the magic to your home!